This January we celebrate the launch of Screen Fixed in our first major city outside of Brisbane. Our brand has garnered traction in Brisbane throughout 2015 and now we enter the Sydney market committed to providing the convenient, fast and reliable repair solutions which are at the corner stone of our vision. Whether you’re at the Opera House, Bondi Beach or ‘The Rocks’ a Screen Fixed Expert can dispatch and repair your device within the hour – you’re gonna love it! Screen Fixed Experts are professional, friendly are incredibly passionate about device repair. We use the best parts available in the market – original, it gets better, all repairs come with a 2 year warranty. • Our Expert will arrive at your desired location and repair your iPhone right in front of you. • Faster: From the time you request a repair, we can have an Expert with you in under 1 hour. • Guaranteed: iPhone and Samsung repairs come with a 2 year warranty. • On-demand: We come to you, anywhere that falls within 30mins of the Sydney CBD. 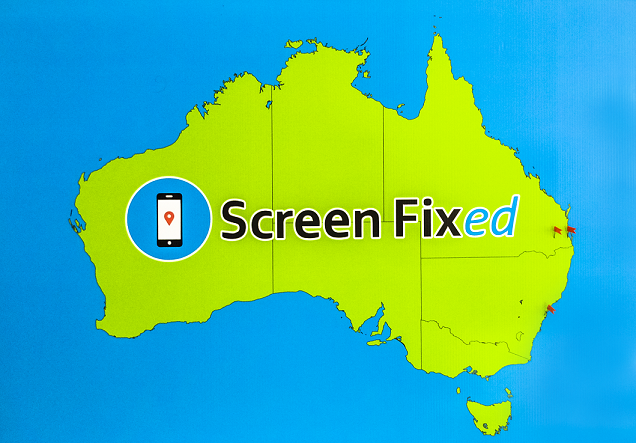 Screen Fixed Sydney will be launched by Ben who founded Screen Fixed 1.5 years ago in Brisbane. We believe its super important to get the launch right when launching new cities. Since inception our Brisbane based Experts have repaired over 1100 screens, which means we have over 1000 happy customers!! Personally I’m incredibly excited to see Screen Fixed enter the Sydney market and give the locals a much more customer-centric and convenient solution to iPhone repairs and Samsung repairs. We’re basing our Sydney operations from our CBD address: Level 5, 55 Hunter Street, Sydney 2000 NSW – Suite 932. We have plans to launch Screen Fixed in additional cities across the Asia Pacific mid-way through the year. Quality product and happy customers come first.